I have become very keen on South African wine. The country delivers high quality and great value in my opinion and to continue with this gross generalisation, it also makes wines that are less definitively New World in style than the likes of Australia and California. 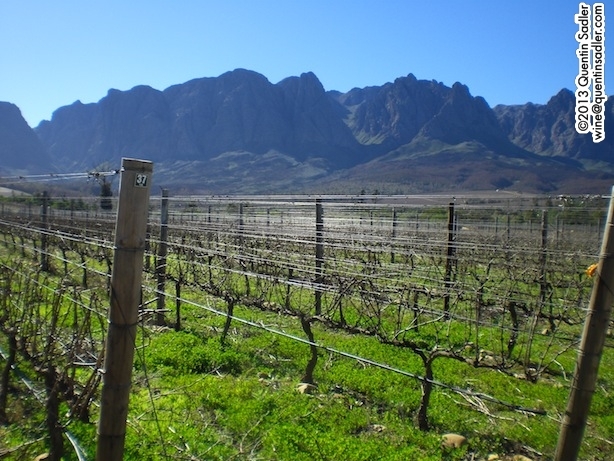 There is always something drier and more savoury about South African than most other New World wines, and they also have more fruit than the traditional leaner and drier French wines. Another wonderful thing about South African wine is that they use an eclectic palate of grape varieties and so produce an amazing array of wine styles. I would also add that it is a great wine producing country to visit from the UK as the time difference is only an hour, so there’s no chance of jet-lag, and the wine regions are so compact. 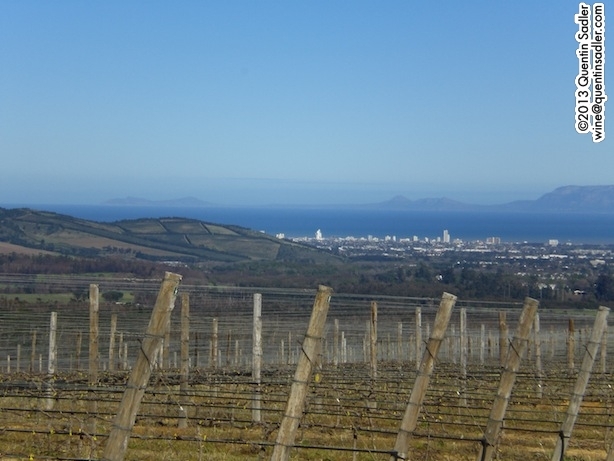 Almost all South African wine is produced in the Western Cape and the majority of producers are within a couple of hours of Cape Town Airport. What’s more they are superbly geared up for wine tourism with restaurants and bars, as well as some of the most beautiful scenery in the world. Anyway, I recently tasted some wines made by the KWV and I thought they were all pretty good. KWV wines were widely available when I first started in wine. Their Roodeberg blend, Pinotage and Steen (aka Chenin Blanc) were to be found in pretty much every wine shop, offered great value for money and were very popular. 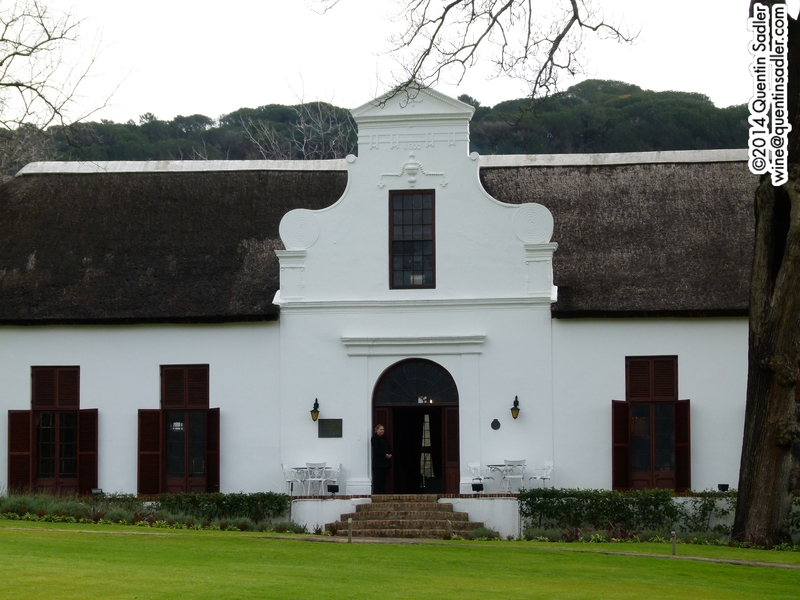 The KWV – Koöperatieve Wijnbouwers Vereniging van Suid-Afrika – was originally created in 1918 as a wine producing cooperative. From the 1920s onwards it became an official organisation that regulated wine and brandy production in the Cape as an official arm of the government. After the introduction of democracy KWV became a private company and for a while the wines lost their way rather – however the brandies and fortified wines did not. For quite a few years I have been convinced that they are back on form with an impressive line up of wines. Recently I have tried quite a few of their wines and have been seriously impressed. Their 2016 Walker Bay Sauvignon Blanc – available from Morrison’s for £8.50 – is from a cool coastal zone of South Africa (Walker Bay) and is crisp, elegant and very drinkable with lovely citrus freshness and something mineral about it too (88/100 points). Their 2016 Grenache Blanc – available from the Co-op for £7.99 – is a bit more me actually with a textured richness and herbal quality. It feels broad a soft where the Sauvignon is lean and fresh and it is a little creamy too making it a nice introduction to this delicious grape (87/100 points). In particular though I have been impressed by their The Mentors range which are very good wines indeed. I have enjoyed quite a few from this range including the Cabernet Franc, Cabernet Sauvignon, Pinotage and The Orchestra Bordeaux Blend. However recently I tasted their Petit Verdot and I loved it, so I made it my Wine of the Week. Petit Verdot is a Bordeaux grape variety, but is historically hard to ripen in France – which is how it got the name Little Green, as it could be under ripe with green tannins – so has been relegated to a blending role in Red Bordeaux. Many winemakers believe that a little Petit Verdot adds some elegance and class to a Claret, especially on the Left Bank. So, in order to fulfil the grape’s potential, it has been taken up by producers in hot countries, especially California, Spain, in Jumilla especially, and South Africa. All of these have a Mediterranean climate and that long hot summer help ripe the shy Petit Verdot to perfection. This is basically a single vineyard wine grown in low vigour shale soils. 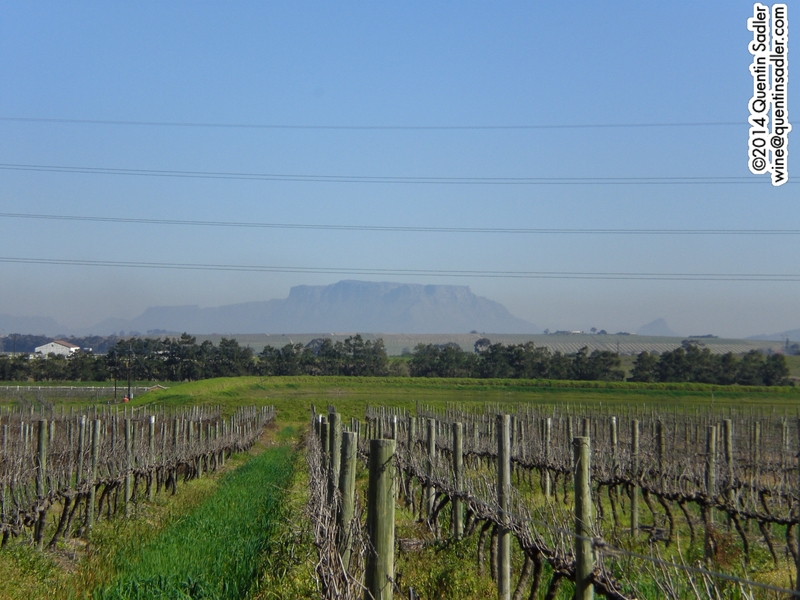 The heat is tempered by the south-easterly winds, which slows the growing season down and ensures the grapes have a slow build up of sugars and a lot of flavour. The yields are very low too – 8 tons per hectare – which ensures good concentration and also helps the flavour profile. Added to that, this wine is made from a careful selection of the best fruit. There is a cold maceration to extract flavour and colour before the fermentation. It was fermented in stainless steel tanks with pump overs for good colour extraction and then sent to barrel – 60% new – where malolactic took place and the wine was aged for 18 months. The wine has a dense, opaque black cherry colour that is bright and inviting. The nose is rich with black cherry and plum together sith a dusting of tobacco, cocoa, pencil shavings and spice. The palate is smooth, velvety, succulent, rounded and juicy with barrowloads of ripe dark fruit, red and black, giving lovely primary fruit sweetness, and there is a balancing fresh acidity and lovely fine grain tannins giving just a little edge to the wine. The oak gives a spiciness while the ripe fruit makes it a hedonists delight. It still has its soft, juicy pupy fat but there is some good structure and complexity underneath all that primary pleasure and I would love to taste it again in 5 years or so – 93/100 points. Frankly right now this wine will go with anything. It is even supple enough to be drunk on its own if that is your thing, but would be absolutely perfect with steaks and venison and roast beef. Available in the UK for around £15 per bottle from Ocado, Slurp, SH Jones, Perold Wine Cellars & Amazon. My relationship with South Africa has taken off quite dramatically in recent years. For a long time I had reservations about the quality of many of the wines coming out of the country. To me there seemed to be flashes of brilliance amidst a sea of unreliability and perhaps I unfairly focussed on the latter. 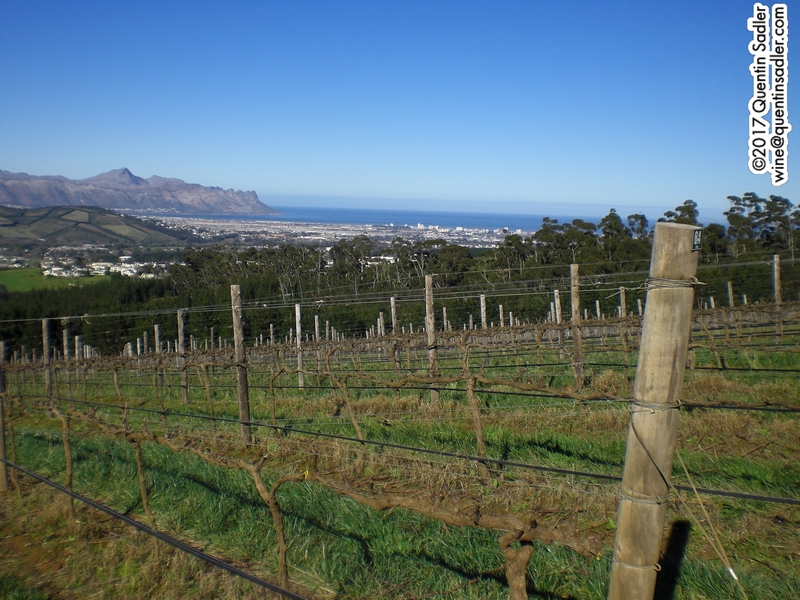 My first visit to the Cape, in 2005, reinforced that view – luckily I mainly visited the brilliant producers and was able to see for myself how ambitious and capable many of the winemakers were – something that might not have been apparent from the general supermarket offerings of South African wines in the UK at the time. What I had not expected though was to be quite so bowled over by the place. The Western Cape of South Africa is one of the most beautiful places on the planet and a wonderful part of the world to visit and I fell in love with it. So much so that when I was invited to become a judge at the excellent Michelangelo International Wine Awards I leapt at the chance. This is one of the leading South African wine competitions and is run by the wonderful Lorraine Immelman and Sue van Wyk. I am so glad that they invited me as my trips down there to taste and judge hundreds of wines – overwhelmingly, but not exclusively from South Africa – has allowed me to experience the wines of the region in a way that I would otherwise not have been able to do. It means that I have been able to really see what is going on in South Africa and to notice the amazing development over a very short period of time. It has also allowed me to make friends with many of my fellow judges from around the world and to get to know Stellenbosch very well indeed. In fact nowadays the place really does feel a little like home when I arrive at Cape Town. 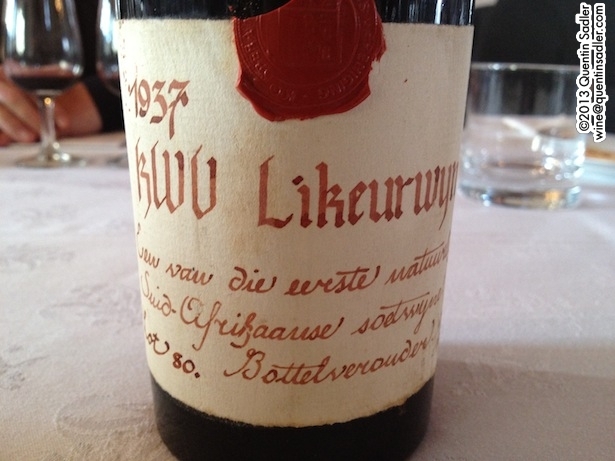 1937 KWV fortified Muscadelle – ‘Likeurwyn’ in Afrikaans, it was outstanding & a real privilege to taste it – especially as there were only 168 bottles ever made! 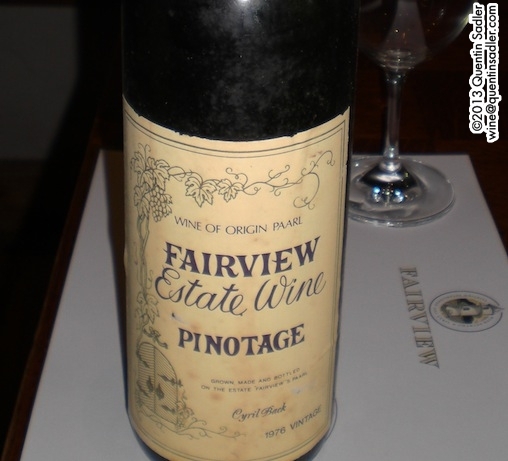 Charles Back spoilt us with one of Fairview’s earliest vintages of Pinotage. It was the 1976, look carefully at the bottom left of the label, & it had a savoury fragility that showed up the Pinot Noir side of its parentage. 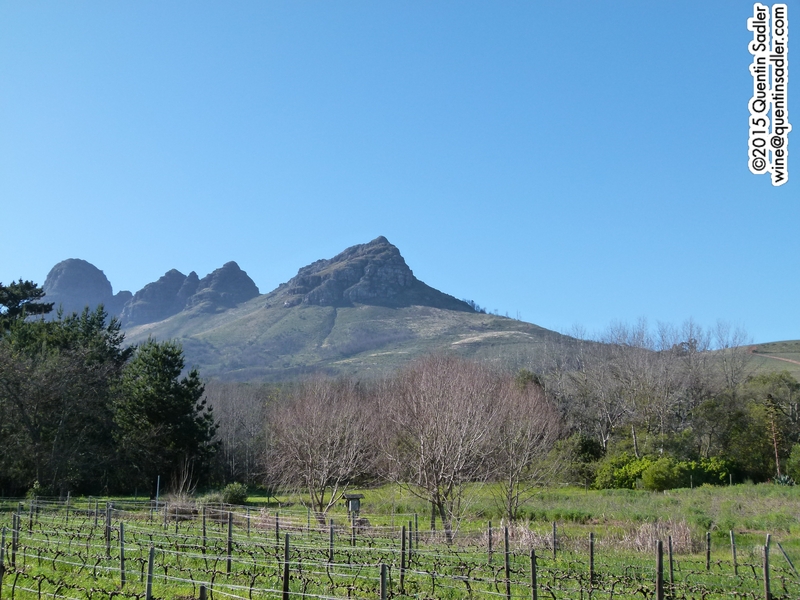 In my visits there I have come to know and greatly admire a range of stunning wine estates that are producing wines that are at least the equal of anywhere else – Springfield and Diemersdal for instance never fail to impress me. For quite a few years now I have been a judge in the Michelangelo – with perhaps a year or 2 gap between each visit – and the progress South African wines have made in such a short time is remarkable. On my first visit the style of South African red wines was overwhelmingly not mine. It seemed to me, for quite a long time that there was over extraction, over oaking, over working – just too much of everything really, which resulted in many bitter and tarry wines – which I do not enjoy. I have seen this fading for a while now, but my visit in 2012 saw pretty much all the wines that I tasted had emerged from this old style and were now triumphantly almost all tasting bright, fresh, fruity and balanced. The entire experience pleased me immensely and I gained an even keener love for South Africa and her wines. The trip was one of my many highlights of 2012 – but for some reason I failed to mention it in my round up of the year. The first thing I noticed last summer was just how good the white wines have become. Drop in anywhere around Cape Town and the winelands – the bars and restaurants are spectacular – and you can order a Sauvignon Blanc with confidence – even at the lower price points. 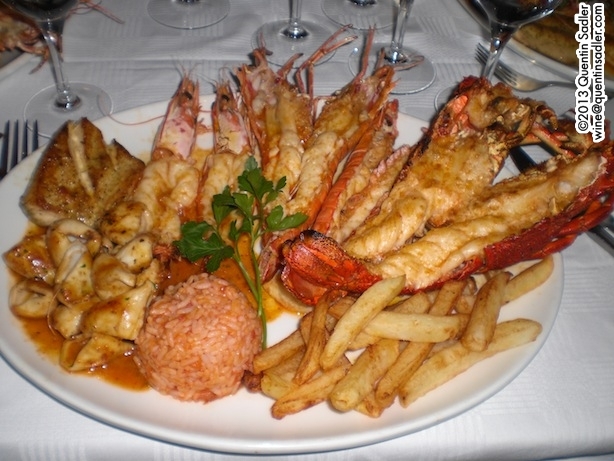 Because it has such wide distribution over there I drank a good few bottles of Durbanville Hills Sauvignon Blanc and not only was it pretty cheap, but it was also pretty good – just the thing with the stunning seafood in Cape Town. Lourensford, Klein Constantia, Kaapzicht and Allée Bleue Sauvignon Blancs also all hit the spot with some of the wonderful calamari they serve down there too – as does Springfield‘s Life From Stone and Special Cuvée, Dornier‘s Cocoa Hill and the lovely Sauvignon from Southern Right and those from the Diemersdal Estate – including the rosé version. 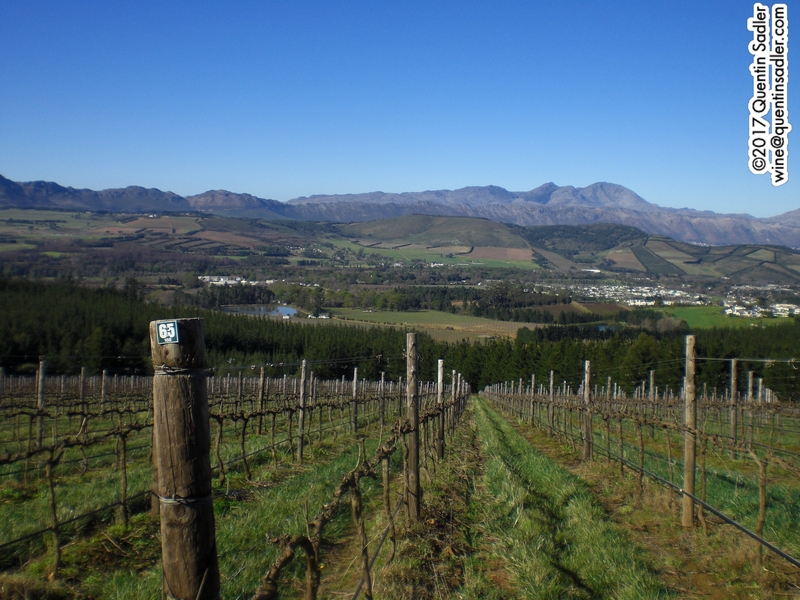 It is crude to generalise, but broadly speaking I reckon that South African Sauvignons lean towards a French style – dry, mineral and crisp, but with more ripe fruit, without ever becoming quite as aromatic or upfront as classic New Zealand examples. As a style I like it very much – of course that is an oversimplification as there is huge variety, but there is enough of a truth in it to make it a reliable guide for the average drinker. 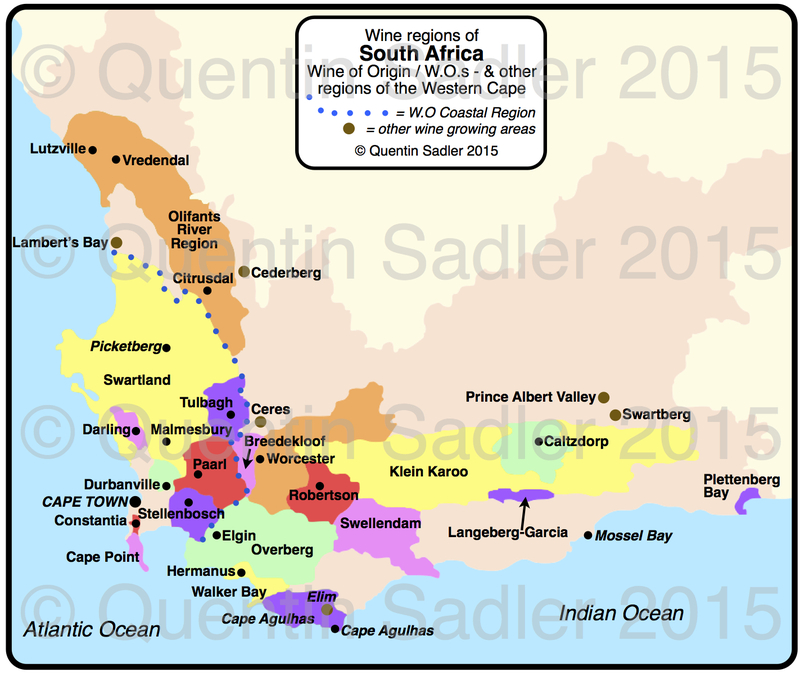 Good though South Africa’s Sauvignons are – and they are. The traditional white grape here is that other Loire Valley white grape – Chenin Blanc. For me these really come into their own when some richness is involved and I love drinking the tropical (ripe guava flavours), delicately honeyed and concentrated examples from Kleine Zalze, Oldenburg and Stellenrust – and Stellenrust’s Sauvignon Blanc is pretty good too by the way. These are wonderful with fish pie and rich pork or chicken dishes – even asian flavours. All of these were lovely and a delight to taste in the competition or enjoy during our time off, but what really amazed me last year were the red wines. I tasted hundreds of red wines from the Cape and flight after flight showed balance, fruit and careful tannin management. Some of the Merlots that we judged at the Michelangelo Awards were especially impressive – Lourensford‘s 2011 Winemaker’s Selection Merlot and uniWines Fairtrade Palesa Merlot 2011 were both superb, with lovely fruit and supple tannins. I have also been very impressed by Cabernet Sauvignons from Springfield – their Whole Berry Cabernet 2008 is a seductive marvel – while the magnificent Kleine Zalze Cabernet Sauvignon Family Reserve 2008 is layered, complex and fine, as was the Oldenburg Cabernet Sauvignon 2009 that I tasted recently. All these were very good, but I personally became very excited by Pinotage – of all things. Pinotage gets a very bad press, or at best seems to divide people, much like Marmite. Well I love Marmite, but until last year I would not even remotely have considered myself to be a fan of Pinotage. I had enjoyed a few in my time – Flagstone‘s wittily named The Writer’s Block Pinotage always impresses me and the 2011 rightly won a Gold Medal at the 2012 Michelangelo – but something has usually held me back from enjoying most of the Pinotages that had come my way until recently. Well it seems that something about the wines – or me – has changed, because during my time in South Africa in 2012 I started to really enjoy Pinotage – so much so that I ordered Pinotage twice while I was last in South Africa and even requested a refill during a dinner at KWV / Laborie. This unusual grape is South Africa’s speciality and it originated here as a cross between Pinot Noir and Cinsaut / Cinsault (historically known as Hermitage in South Africa). Like most things that appear traditional though it isn’t actually as old as you might think. The cross does go back to the 1920s, but commercially it has only really been around since the 1960s. In the past people have said that Pinotage smelled and tasted of rusty nails and bananas, which may be true, but it no longer seems to be the case in the ones that I have tasted of late. Rich fruit and supple tannins seem to be the hallmark, together with a spicy quality. I have tasted a few different vintages now of the Diemersdal Pinotage Reserve and their 2011 vintage walked with the Pinotage Trophy (Sue van Wyk Pinotage Trophy) at the 2012 Michelangelo and it was well deserved – grab a bottle if you can find one. It was this wine more than any other that started my change of mind about the grape, but Deetlefs Estate Pinotage 2011 was very nearly as impressive and for sheer drinkability I also greatly enjoyed the spicy and juicily fruity KWV Mentors Pinotage 2010 – indeed it was this one that I requested more of during a rather fine dinner! Medium-bodied, supple and juicy with very soft tannins and a gentle touch of spice. This is easy drinking, but very enjoyable and well made and would go with almost anything meaty – 86/100 points. Durbanville Hills is a big brand, but they seem to be very reliable – their Sauvignon Blanc is very good for the price – and as they are well distributed in South Africa they are quite hard to miss, most of the umbrellas outside restaurants in Cape Town seem to be theirs. £8.50 a bottle in the UK from SA Wines On Line. Distributed in the US by Aveniu Brands. This concentrated example is made by Anthony Hamilton-Russell, who is normally thought of as a Pinot Noir specialist, but here he shows that he can coax wonderful flavours and mouthfeel out of Pinotage, albeit with tiny amounts of Cabernet Sauvignon, Cabernet Franc, Malbec and Syrah blended in. The palate is rich, smooth and silky with ripe damson and blackberry fruit and soft spice notes as well as cocoa from the oak ageing. This is beautifully made and very elegant – 89/100 points. £13.50 a bottle in the UK from Waitrosedirect.com. Distributed in the US by Vineyard Brands. Wow this is an amazingly concentrated wine, deep, opaque blue-black. The nose delivers damson, espresso coffee, liquorice, dark chocolate and aromatic spices. The palate is towards full-bodied and is very supple with velvety tannins and some nice refreshing acidity too and rich dark fruit, leather, coffee and beautifully integrated vanilla and mocha oak. This is a glorious wine with an epically long finish – 92/100 points. This is Kleine Zalze‘s top Pinotage, but their more humble examples under the Zalze label are rather good too. They also have a rather lovely restaurant at the winery by the way. £26.99 a bottle in the UK from SA Wines On Line. Lifted aromas of smoky spices and chocolate together with dried red fruit and ripe black fruit. The palate offers coffee as well as damsons, blackberry and cooked strawberry fruit. Again the tannins are a very silky and the finish is long, but slightly marred by some heat from the alcohol – 91/100 points. Wildekrans wines are in the UK from SA Wines On Line. 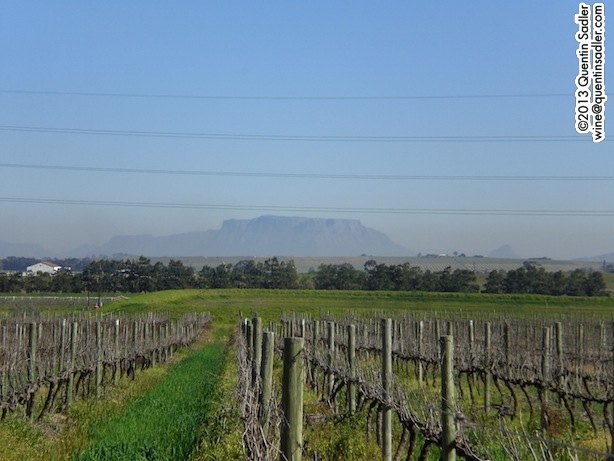 From my recent tastings of Pinotage I would say that the at its best the grape has a decidedly Mediterranean character showing spice and warmth – as you might expect from the Cinsault side of its ancestry. However the fruit is richer and glossier, when handled correctly – as you might imagine from the fact that it is used in a sunny place so the grapes can ripen fully. In addition the tannins seem to be very light – as indeed they are in both the parent grapes – so the good examples seem very soft and supple. And that is the key, for that delicious fruity, velvety smoothness to shine, the grapes must be really ripe and any touch of greeness will throw that balance out of kilter and spoil the pleasure I now take in a good example of Pinotage. Of course it isn’t only those grapes and blends that can do well in South Africa, Altydgedacht Estate produces a stunning Gewürztraminer and possibly the best Gamay that I have ever tasted, while KWV delighted me with their fabulously drinkable, ripe and juicy Mentors Cabernet Franc, which rightly won a trophy at the 2012 Michelangelo Awards. I have also become very impressed by some of the Syrahs, especially the wonderfully supple, delicately spicy and seductive Oldenburg Estate Syrah 2009. 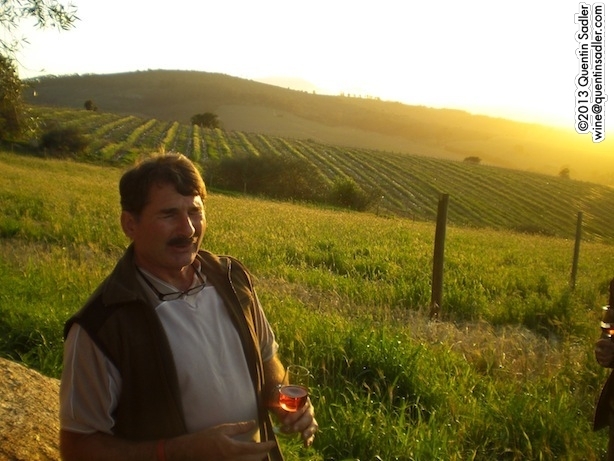 Remember that if you want to explore the wines of South Africa, but are unsure where to start, the Michelangelo International Wine Awards website lists all the winners they ever had since the competition started in 1997, take a look, it might well help you to choose some interesting wines to try. I know the effort that we put into judging them and the high standards that we adhere to, so if it won a medal or trophy at the Michelangelo it is going to be a good wine and an excellent example of its type. 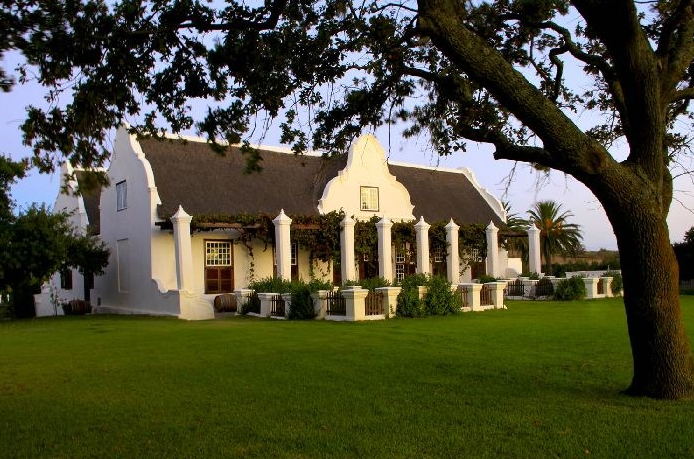 Another thing to bear in mind is that South Africa is one of the best wine countries to visit as the countryside and main wine towns of Paarl, Franschhoek and Stellenbosch are all beautiful, and unlike Europe the wineries are superbly geared up for visitors with lovely restaurants and elegant tasting rooms. What’s more everything is very compact and within an hour or 2 of Cape Town airport, which makes it an easy place to tour around. If you do visit – and I highly recommend it – make sure you see a bit of Cape Town too, it is a delightful city and the V&A Waterfront complex is an absolute gem, stuffed with bars, shops and restaurants of very fine quality. 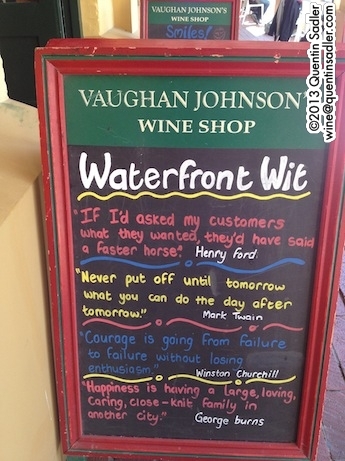 While you are there be sure to drop in at Vaughan Johnson’s Wine Shop. 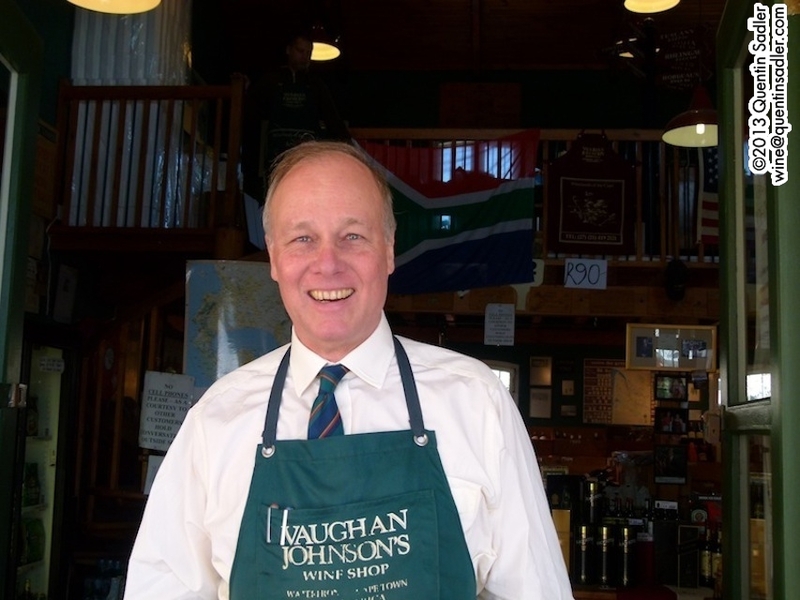 Vaughan is one of the wine trade’s great characters and a delight to chat to while browsing the bottles in his lovely shop. So, if you have not really got into exploring South African wines yet, now is a great time to start as the quality of the wines coming out of the Cape now is very high indeed. Posted in Dessert wine / Sweet wine, Fortified wine, My thoughts, Red wine, South Africa, White wine, Wine competitions	Tagged 1937 KWV fortified Muscadelle, Allée Bleue, Altydgedacht Estate, Charles Back, Diemersdal, Dornier Wines, Dornier's Cocoa Hill, Durbanville Hills, Fairview, Fairview Estate, Flagstone, Flagstone The Writer's Block, Franschhoek, Franschhoek Wineroute, Hermanus, Hermanus Wineroute, Kaapzicht, Kaapzicht Vineyards, Klein Constantia, Kleine Zalze, KWV, KWV / Laborie, KWV Likeurwyn, KWV Mentors Cabernet Franc, KWV Mentors Pinotage, Laborie, Lorraine Immelman, Lourensford Vineyards, Mentors Cabernet Franc, Michelangelo International Wine Awards, Oldenburg, Paarl, Paarl Wineroute, Pinotage, South Africa, Southern Right, Springfield Estate, Stellenbosch, Stellenbosch Wineroute, Stellenrust, Sue van Wyk, the Cape, V&A Waterfront, Vaughan Johnson, Vaughan Johnson's Wine Shop, Western Cape, Wine of Origin / W.O.